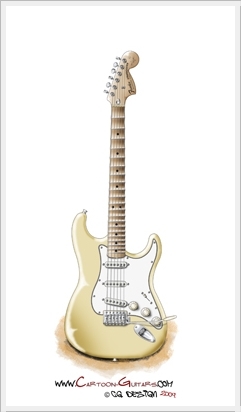 Illustration of FENDER Stratocaster Yngwie Malmsteen cartoon guitar is finally over. As you can see this is a Malmsteen's Strat model which he uses most on his concert's, so I've decided to draw this model. Also there is a scaloped guitar neck which Yngwie uses on almost all Strats that he plays. 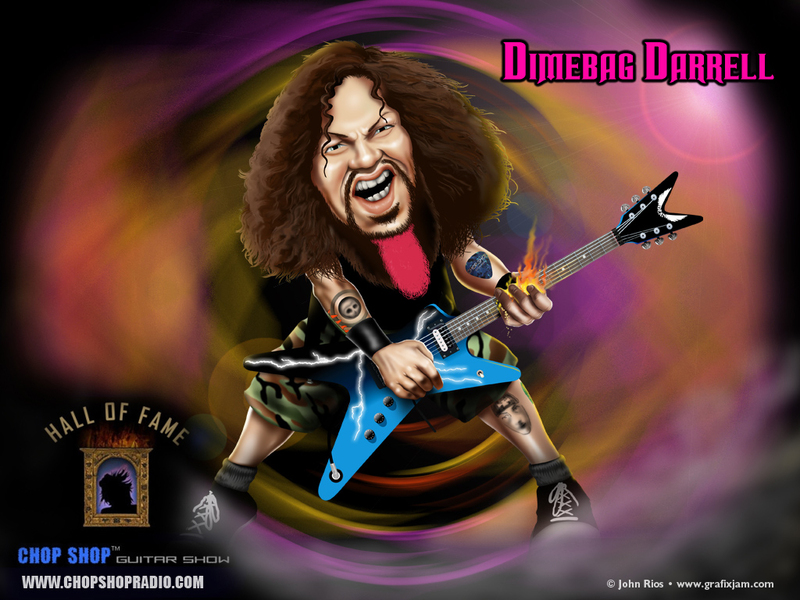 Here is a new desktop wallpaper with Cartoon Guitars theme. 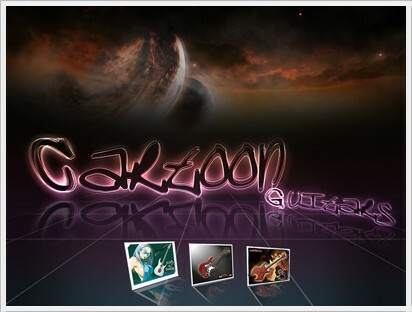 You can find it in WALLPAPERS section. I hope you like it...Greetings until my next guitar illustrated picture. Well here it is. I have finally finished this guitar illustration. This is LUNA Andromeda Trans Grape cartoon guitar illustration and it is illustrated specially for Lori Linstruth. This is a guitar which she uses on her fantastic playing. You can learn more about this amazing woman on her website where you can also see some of her home made video clips like this one. Let's get back to a guitar basic specifications. Body was made from Basswood, maple neck and rosewood fingerboard. 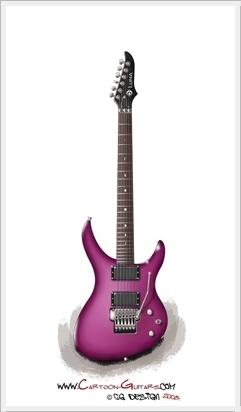 There is 24 frets, Groover tuners, Floyd Rose Tremolo bridge and a slim neck for easy play. More detailed image is in LUNA guitar gallery, so take a look and greetings to everyone until my next guitar illustration or wallpaper. 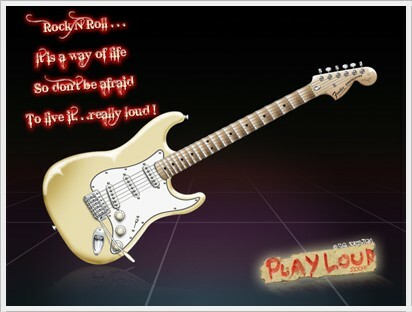 This guitar artwork is also available on Cafepress t-shirt webshop. Thanks for comming back to this website! !